We live in an appalling age. When the White House requested a (conventionally granted) loan of a painting by Van Gogh from New York’s Guggenheim Museum, the kind of request that constitutes an honor and an opportunity for institutional service to the nation, the museum’s chief curator proved incapable of rising above the most vicious kind of political partisanship and responded with a crude gesture of vulgarity designed to express the highest degree of contempt while supposedly flourishing that establishmentarian curator’s skill at drawing upon the canon of the Arts. 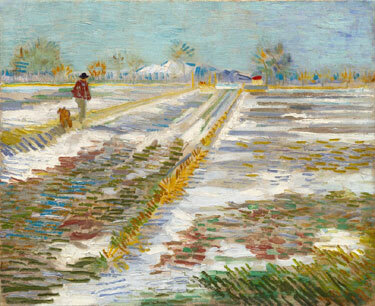 Vincent van Gogh, Landscape with Snow, 1888, Guggenheim Museum. Proving that the big brains at the Guggenheim, who so look down on Trump, are actually the kind of idiots willing to accept a gold-plated toilet, created as a slur on the same free enterprise system that funded the Guggenheim’s creation, as “art” worthy of presentation by a major museum. I’ve seen Donald Trump’s interior design choices, and I could picture Donald Trump having gold-plated thunderboxes in his penthouse, but he’d be sensible enough to use them practically. Trump wouldn’t take a gold-plated crapper as some kind of artistic statement unlike the dodos sitting atop our arts establishment. Can anyone picture the head of a prominent museum, just a few decades ago, indulging in such a spiteful, vulgar, and scatological expression of partisanship? People simply did not behave like that. They had enough good sense to recognize that no political party possessed a monopoly of good intentions or virtue and that one’s preferred side inevitably sometimes lost. If someone in a responsible position did not happen to like the current occupant of the White House, he simply did his job and kept his feelings and political opinions to himself. Today’s establishment is made up of self-righteous simpletons, eaten up with self-entitlement, lacking common sense, decency, and good manners. The soon-to-be removed offending memorial to George Washington. The Washington Times reports that the much-predicted and inevitable has occurred. This time, they are going after Washington as well as Lee. 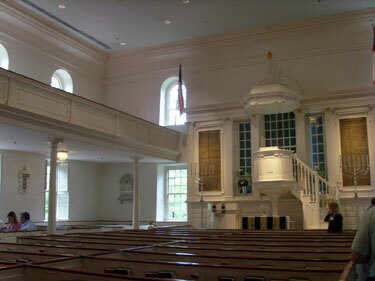 George Washington was one of the founding members of Christ Church in Alexandria, buying pew No. 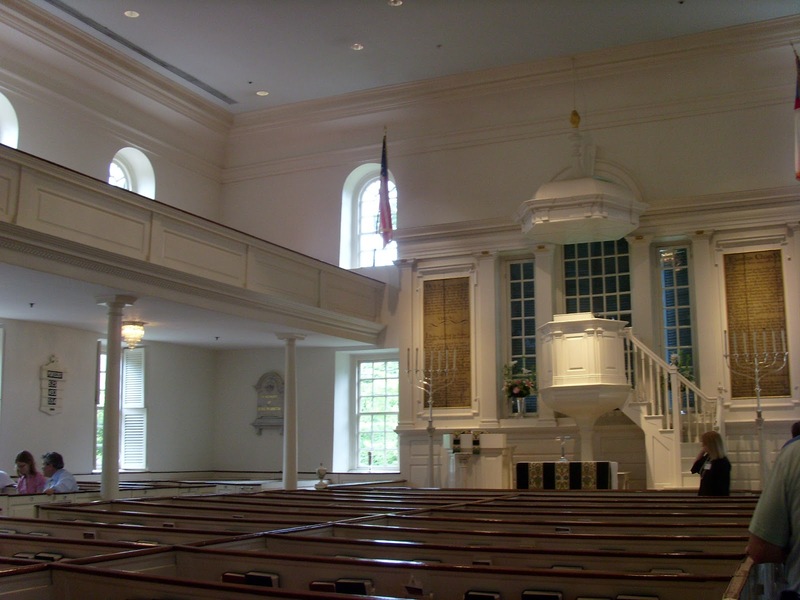 5 when the church first opened in 1773, and attending for more than two decades. This week the church announced it was pulling down a memorial to its one-time vestryman and the country’s first president, saying he and another famous parishioner, Robert E. Lee, have become too controversial and are chasing away would-be parishioners. “The plaques in our sanctuary make some in our presence feel unsafe or unwelcome. Some visitors and guests who worship with us choose not to return because they receive an unintended message from the prominent presence of the plaques,” the church leaders said. A staffer at the church Friday said the decision was going to be announced to the church on Sunday. The smarmy letter announcing this spectacular insult to American history signed by all 12 Vestry committee members and the local priestess herself is here. 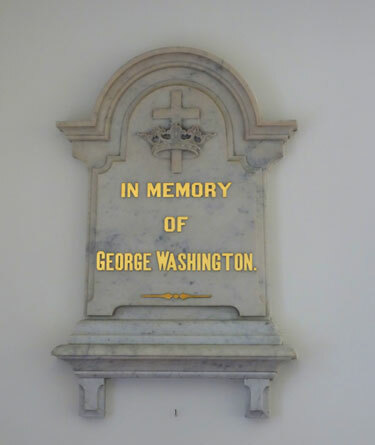 They explain that this destructive, insulting, and revolutionary step was necessary because “discussion about the appropriateness of the plaques in our worship space caused friction in our parish family.” In other words, some extraordinary and outrageous assholes infected with a repulsive ideology hostile to America, our history, our founding fathers, and our national heroes, started making irrational complaints, and the useless, spineless, brainless nincompoops and poltroons on that Vestry committee lacked both the backbone and intellectual resources to defend even the memory of George Washington in his own church, and decided to surrender. Traditionally, the Episcopal Church would be considered to represent a prominent pillar of upper middle class American culture. Episcopalians used to be expected to be, on the average, wealthier, better educated, and more prominent in the leadership of the community than members of other denominations. I find myself muttering to myself in frustration, and wondering aloud: how did this country ever come to this? How did we wind up with, everywhere you look, from Yale and Harvard, to city halls all over the Southland, to Christ Church in Alexandria with nobody in charge who thinks or cares? How did it ever happen that the American Establishment sold its soul and gave away its conscience to the brainless demoniac Radical Left? How is it possible that that gentleman over there, a graduate of an elite university, in a tweed jacket and a club tie or that attractive older female graduate of a Seven Sisters school in pearls, are today prepared to throw both Washington and Lee under the bus as sacrifices to the Gospel of Howard Zinn? Thank goodness we have flyover, Red State America, because coastal urban Establishment America is rotten to the core. Our Establishment today is no less ready to surrender to the Reds than the one in St. Petersburg a hundred years ago this week. You can see it again right there, on the left. Glenn Reynolds points out that when members of today’s establishment class of credentialed experts complain that ordinary Americans commonly reject their scientific consensus on Climate Change, their moral consensus, and their economic and policy consensus, there are reasons that the prestige and authority of the credentialed experts class have dramatically declined within the lifetimes of the Baby Boom generation. [T]he “experts” don’t have the kind of authority that they possessed in the decade or two following World War II. Back then, the experts had given us vaccines, antibiotics, jet airplanes, nuclear power and space flight. The idea that they might really know best seemed pretty plausible. But it also seems pretty plausible that Americans might look back on the last 50 years and say, “What have experts done for us lately?” Not only have the experts failed to deliver on the moon bases and flying cars they promised back in the day, but their track record in general is looking a lot spottier than it was in, say, 1965. It was the experts — characterized in terms of their self-image by David Halberstam in The Best and the Brightest — who brought us the twin debacles of the Vietnam War, which we lost, and the War On Poverty, where we spent trillions and certainly didn’t win. In both cases, confident assertions by highly credentialed authorities foundered upon reality, at a dramatic cost in blood and treasure. Mostly other people’s blood and treasure. And these are not isolated failures. The history of government nutritional advice from the 1960s to the present is an appalling one: The advice of “experts” was frequently wrong, and sometimes bought-and-paid-for by special interests, but always delivered with an air of unchallengeable certainty. In the realm of foreign affairs, which should be of special interest to the people at Foreign Affairs, recent history has been particularly dreadful. Experts failed to foresee the fall of the Soviet Union, failed to deal especially well with that fall when it took place, and then failed to deal with the rise of Islamic terrorism that led to the 9/11 attacks. Post 9/11, experts botched the reconstruction of Iraq, then botched it again with a premature pullout. On Syria, experts in Barack Obama’s administration produced a policy that led to countless deaths, millions of refugees flooding Europe, a new haven for Islamic terrorists, and the upending of established power relations in the mideast. In Libya, the experts urged a war, waged without the approval of Congress, to topple strongman Moammar Gadhafi, only to see — again — countless deaths, huge numbers of refugees and another haven for Islamist terror. It was experts who brought us the housing bubble and the subprime crisis. It was experts who botched the Obamacare rollout. And, of course, the experts didn’t see Brexit coming, and seem to have responded mostly with injured pride and assaults on the intelligence of the electorate, rather than with constructive solutions. Then there’s the problem that, somehow, over the past half-century or so the educated classes that make up the “expert” demographic seem to have been doing pretty well, even as so many ordinary folks, in America and throughout the West, have seen their fortunes decaying. 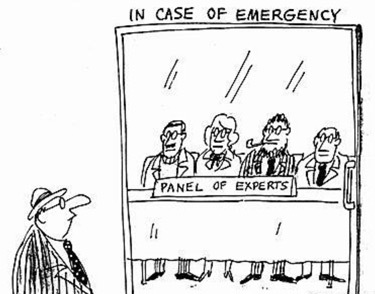 Is it any surprise that claims to authority in the form of “expertise” don’t carry the same weight that they once did? If experts want to reclaim a position of authority, they need to make a few changes. First, they should make sure they know what they’re talking about, and they shouldn’t talk about things where their knowledge isn’t solid. Second, they should be appropriately modest in their claims of authority. And, third, they should check their egos. It doesn’t matter what your SAT scores were, voters are under no obligation to listen to you unless they find what you say persuasive. Walter Russell Mead thinks the American intellectual establishment ought to have taken the occasion of this year’s Memorial Day to face the truth and applaud the victory delivered by American servicemen in the face of their own betrayal. The story of Iraq has yet to be told. 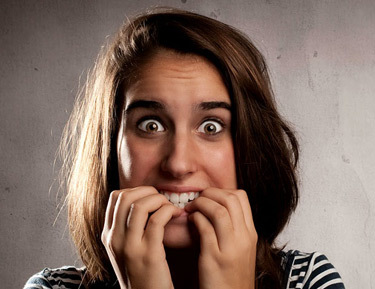 It is too politically sensitive for the intelligentsia to handle just yet; passions need to cool before the professors and the pundits who worked themselves into paroxysms of hatred and disdain for the Bush administration can come to grips with how wrongheaded they’ve been. It took decades for the intelligentsia to face the possibility that the cretinous Reagan-monster might have, um, helped win the Cold War, and even now they haven’t asked themselves any tough questions about the Left’s blind hatred of the man who did more than any other human being to save the world from nuclear war. It may take that long for the truth about the war in Iraq to dawn, but dawn it will. America’s victory in Iraq broke the back of Al-Qaeda and left Osama bin Laden’s dream in ruins. He died a defeated fanatic in his Abbotabad hideaway; his dream was crushed in the Mesopotamian flatlands where he swore it would win. Osama’s goal was to launch the Clash of Civilizations against the West. He would be Captain Islam, fighting against the Crusader-in-Chief George W. Bush. By his purity, wisdom, daring and above all by his special knowledge of the hidden ways of God, Captain Islam would crush and humiliate the evil Bush-fiend and unite the Muslim world behind the Truth. Osama would complete at a spiritual level the mission his father undertook on the physical plane. His father’s construction company rebuilt and modernized the ancient holy city of Mecca; Osama would rebuild and restore the entire Muslim world. The 9/11 attacks propelled Osama to the historical height he sought: in the minds of many he had become a caliph-in-waiting, the fierce servant of God whose claims to leadership were vindicated by the dramatic success of his plans. Angry young people across the Islamic world, frustrated by a host of frustrations and privations, wondered if this was the charismatic, God-aided figure who would overturn the world order and lead Islam to its old place on the commanding heights of the world. For roughly three years America writhed in the toils of our predicament in Iraq. The Democratic establishment had supported the war. Some leading Democrats did so out of conviction, some out of a political calculation that no other stand was viable in the post 9/11 atmosphere. Now the grand panjandrums of the Democratic Party, one after another, made their pilgrimage to Canossa. 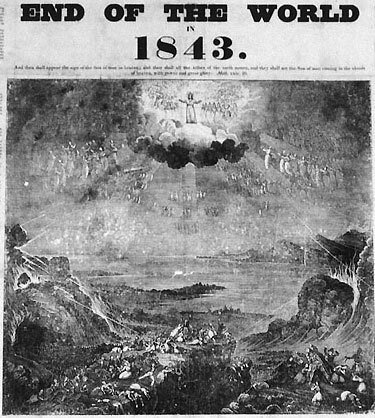 Some came to believe and perhaps more came to say that the war was lost and that their original backing for it had been a mistake. Well do I remember the many impassioned statements in those dark years by leading politicians and pundits that the war was lost, lost, irretrievably lost. It was over now, they wailed on television and in print. The Iraqi government was a farce and could never take hold. These clowns made Diem look like Charles de Gaulle. We had no option but to get out as quickly as possible. On and on rolled the great choir of doom, smarter than the rest of us, deeper thinkers, capable of holding more complex thoughts behind their furrowed brows. Now they have glibly moved on to other subjects; the mostly complicit media is helping us all to forget just how wrong — and how intolerant and moralistic — so many people were about the ‘lost’ war. While the politicians washed their hands and hung up white flags, and while the press lords gibbered and foamed, the brass kept their heads and the troops stood tall. And gradually, a miracle happened. America started winning the war. The French scholar Gilles Kepel, no friend of the war in Iraq and no admirer of George Bush, makes the core point. Osama’s dream was to shift history into the realm of myth. He passionately believed that the ordinary course of mundane history wasn’t what really mattered: there was a divine and a miraculous history just behind the veil. Osama aimed to pierce the veil, to bring hundreds of millions of Muslims into his reality, transfixed and transported by the vision of a climactic fight of good against evil, of God against America and its local allies. That dream died in Iraq. On ths Memorial Day, a truth needs to be told. Our lords and masters of the national elite may have been defeated in the election last November, but they are still our rulers. Just to drive home the point of who is in charge in this country, the liberal establishment took the lame duck congress it controls and delivered its own special Christmas present to a prized constituency. Now those second-class citizens who fail to attend elite institutions, who live outside the coastal cities and suburbs which call the shots, who bitterly cling to God and guns and are stupid enough to serve in the US military for chump change will have to accept as their equals (and often, undoubtedly, their superiors in rank and command) persons who choose to define themselves on the basis of an inclination to engage in certain kinds of unconventional (intrinsically non-reproductive) sexual activities. Liberals don’t themselves actually serve in the military anymore. Liberals usually do not even support the military operations in which members of the armed forces risk their lives. Liberals frequently make strong efforts to undermine and delegitimitize the causes for which Americans serving in the military are fighting. Liberals routinely provide aid and comfort to the enemy opposing US forces in the field. Liberals undermine domestic support for our military’s efforts, destroy our national morale, and work tirelessly to bring about our Armed Forces’ failure and withdrawal. Liberals devote their energy to voiding and rendering useless all the American military’s efforts and sacrifices. But the liberals get to tell the American military with whom they will have to shower, beside whom they will have to sleep, who will be serving beside them, and on whom they will have to depend in action. Isn’t that just ducky? They may allow recruiters back on Ivy League campuses, just so long as drag queens can join the Marine Corps. Mayor Bloomberg and reputable members of the establishment in general view people objecting to the erection of mosque and Islamic cultural center in the vicinity of the fallen World Trade Center towers as bigots and yahoos, who irrationally insist on blaming the overwhelmingly larger body of moderate Muslims for the crimes committed by a small number of unrepresentative extremists. the identification of Abdul Rauf as a moderate Muslim, a reasonable representative of a different religious denomination who is not our enemy and who does not deserve to bear any sort of guilt for Islamic extremism or acts of terrorism. Yet, Imam Abdul Rauf has made a number of somewhat controversial public statements. Clifford D. May offers this completely devastating rejoinder. No, actually, it’s quite simple: Whatever your grievances, you do not express them by murdering other people’s children. Not accepting that proposition does not make you a terrorist. But it disqualifies you as an anti-terrorist and identifies you as an anti-anti-terrorist. A thought experiment: I am grieved by Saudi policies — for example, Saudi religious discrimination, oppression of women, and persecution of homosexuals. If I were to express these grievances by blowing up a Saudi kindergarten, do you think Imam Feisal would say (1) the Saudi Royal family must share responsibility for the carnage, and (2) whether or not I had committed an act of terrorism is a “very complex question”? How can well-educated, sophisticated people apply such a preposterous double-standard in their thinking that they will perform gymnastic contortions to defend and apologize for a Muslim community leader with all sorts of unsavory personal connections and instantly exclude from legitimate discussion anyone who would criticize the symbolism of the Ground Zero Mosque project or question the bona fides of its organizer? [M]ulticulturalism and moral relativism, doctrines devoutly embraced by the intellectual classes, render “everything the equal of everything else.” As a consequence, some very smart people have “lost the ability to make the most elementary distinctions.” Except one: They reflexively regard those from the Third World as virtuous and those from the West as steeped in blame, shame, and guilt. So if Imam Feisal says he’s a moderate, he must be a moderate. Why read his books or inquire into what he preaches in his mosque or with whom he associates on his frequent trips to Saudi Arabia, Malaysia, and other exotic locales? Would we ask such questions of a Baptist minister building a church near Ground Zero? the Archives of Never Yet Melted in the 'The Establishment' Category.